Within Teamwork Projects, you may receive an error when exporting invoices from your site to Quickbooks Online. The root cause of this message is that in Quickbooks Online, your company setup is set to use Custom transaction numbers. 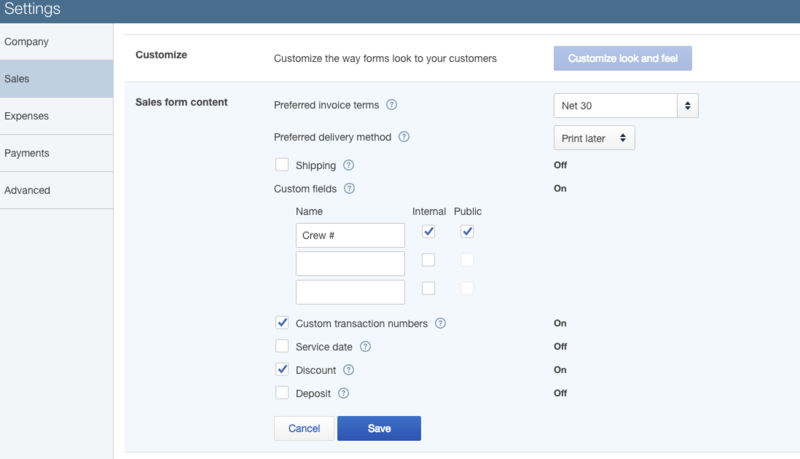 When set to this mode, you are not permitted to use duplicate id/numbers for invoices you send over to Quickbooks Online. Alternatively, you can amend the Invoice Id/No in Teamwork Projects to avoid the clash. You can do this by hovering your mouse over the Invoice No./ID: field on your Invoice in Teamwork Projects and clicking it when the Edit label appears.